One year ago, the Vitality Roses; England’s senior netball team, made history by winning gold at the Commonwealth Games for the first time in their history, with a 52-51 win against Australia. According to England Netball’s annual Big Netball Conversation survey, 77% of members, programme participants, coaches, officials, volunteers and spectators that completed the survey and paid attention to netball at the Games, revealed that they believe the Vitality Roses are an inspiration to young girls, and 96% of respondents said they are proud to tell people they’re a netballer now. A whopping 80% of people taking part in Back to Netball – England Netball’s flagship participation programme – since the Commonwealth Games were new to the programme. In addition, Walking Netball saw a 106% increase in the number of its participants since April 2018 compared to that in March 2017-18, 81% of those people were completely new to netball. Following their triumphant success at the Games, the Vitality Roses also secured a number of prestigious accolades, including Team of the Year and Greatest Sporting Moment at the BBC Sports Personality of the Year Awards, and Team of the Year at the Sports Journalists’ Association British Sports Awards and the BT Action Woman Awards. Ama Agbeze who captained the England team during the Commonwealth Games and who was recently named Sportswoman of the Year at the British Ethnic Diversity Sports Awards, said: “I can’t believe it’s been a year since we competed for that gold medal. It has been an exhilarating 12 months and what is amazing is that we still get people coming up to us to congratulate us on our success and to tell us about how they’ve been inspired to take up netball or get back into it because of that final game. 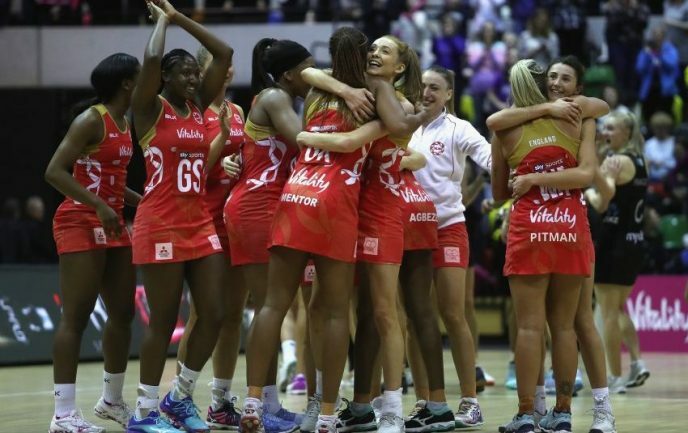 England Netball has enjoyed unprecedented success over the last 12 months and has seen increased investment and commitment from long standing title partner Vitality, as well as some exciting new strategic partnerships with global brands such as Nike, Red Bull and also Jaffa, Elastoplast and Oasis Clothing. 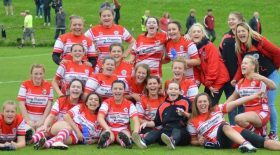 The National Governing Body has also experienced record ticket sales and international game attendance has been at levels never seen before by a women’s team sport. Joanna Adams, Chief Executive at England Netball, said: “Winning gold at the Commonwealth Games has brought netball to the attention of the masses and encouraged many people to get involved with the sport. That moment gripped the nation, changed perceptions of netball and inspired thousands of people to hit a netball court near them. The nation’s eyes are all now on the world number two team as their preparations intensify for the Vitality Netball World Cup 2019, which takes place from 12-21 July.